Find out more about Herefordshire and Worcestershire sustainability and transformation partnership (STP) including details of its population size, constituent organisations and priorities. 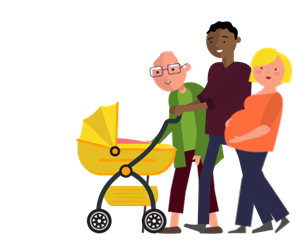 The partnership is a collaborative between all local health and care organisations working across the area, supported by voluntary sector and Healthwatch representatives. Doing more to prevent illness and encouraging people to live healthier lives. Encouraging people to self-care or self-manage more of the routine aspects of their conditions. Improving access to GP appointments. Improving community services which care for people at home, including making better use of technology. Changing the role of community hospitals so more care and treatment is available closer to home. Easier access to emergency/urgent care. Making acute and specialist services more sustainable. The following organisations are part of Herefordshire and Worcestershire STP. For individual contact details for these organisations, please see the NHS website.